Together with a number of distinguished partners, AFS is convening the AFS Global Conference under the topic “Active Global Citizenship–and How to Educate for It” in Montreal, Canada this October. 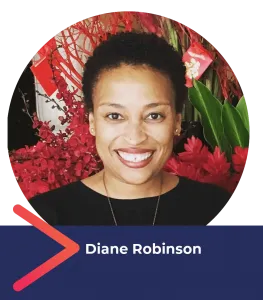 Diane Robinson of Teach For All is one of the distinguished speakers who will address hundreds of stakeholders from different sectors who will gather at the conference to explore global competence. We thank Diane for sharing her insights on the importance of global competence in this interview. Diane, you’ve had some real success fundraising for education initiatives. What would you say to potential donors out there, why is it important to invest in global competence and what results can they expect to see? If there are donors out there who care about preparing all our children to thrive in an increasingly changing and interconnected world, then it is crucial they invest in developing the global competence of both our educators and our students. Technology is changing everything in the job market. The job I do today didn’t exist a few years ago. I work mostly virtually across multiple countries, cultures and communities with diverse individuals in order to advance the mission of Teach For All. If I couldn’t imagine this role a few years ago, think about all the possibilities that will exist for our children in just 10 years. Our world is also more divided than it has ever been and our planet is at risk of not surviving. 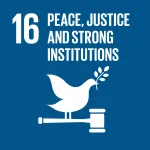 If we don’t educate all our students with the knowledge, skills, attitudes and mindsets to create a more inclusive, peaceful and sustainable world, we will not survive as a species and neither will our planet. And finally, it’s critical that our students learn from inside and outside their own communities. We’ve seen the power of this as a global network at Teach For All—what Teach For America does as a program to develop collective leadership is so much stronger because of what it has learned from Teach For India and vice versa. There is so much more power when we learn from others globally. I can think of no greater impact to make as a donor at this time in education than in developing the global competency of our educators and students. What does the concept of locally rooted, globally engaged youth used by Teach For All mean? How does Teach For All activate and support youth, especially in underserved areas? At Teach For All, we encourage all our partners to develop a contextualized vision for students–a vision that is both locally rooted and globally informed. By locally rooted, we mean partners working with the enormous assets in their local communities to ensure the perspectives, values and aspirations of all stakeholders are informing their vision for students. At the same time, we also encourage partners to ensure their visions for students are globally informed. By this we mean ensuring that our students, who are growing up in the poorest and most marginalized communities in the world, have the same opportunities to participate in and benefit from the economy. We believe it’s important to prepare our students with the knowledge, skills, attitudes and mindsets needed to create a better future for themselves and all of us. We also believe being globally informed means preparing our students to be global citizens and encouraging them to learn from others both inside and outside their own communities. At Teach For All, we believe that our students must be a part of a creating a vision for themselves and for all of us and we are seeing students in communities around the world start to reimagine what their education can look like. We have also created a Student Leadership Advisory Council, which is made up of a diverse group of students from our partner programs around the world and an opportunity for us to have student voice and perspective in our broader vision and strategy at Teach For All. The AFS Global Conference is an amazing opportunity for any educator and any stakeholder who is invested in preparing all of our children to thrive in a changing and very interconnected world. How do we find sustainable ways to fund such opportunities and make sure there is enough public, private or individual support? I think the only way to find sustainable ways to fund the global competence development of our educators and students is to build partnerships with the public and private sector and with individuals and foundations who share a belief and commitment to this work. 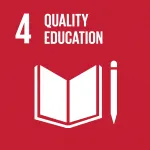 To do this, we will also need to raise awareness of the importance of global competence more broadly in the global education community and share stories about how this prepares students to fulfill their potential and to create a better world for them and us. I think once we start seeing the impact of preparing our students in this way, global competence will become a part of the way we think about educating our students around the world. How do we better integrate intercultural learning and global competence development into educator training and professional development? In order to prepare our students to be globally competent, we need to ensure our educators are being trained and developed to teach global competence. The work that organizations the Asia Society and World Savvy are doing is really promising. Currently some of our partners in Africa are exploring the Center for Global Education’s new online professional development program on teaching for global competence and we are excited about this because our partners in Africa work in very remote and rural communities so they need to have access to online opportunities like this in order to meet their needs. World Savvy’s Global Competence Certificate also offers online, graduate level training to K-16 educators in how to teach global competence and prepare students to be globally informed, engaged citizens. I find the work they are doing to connect teachers in different countries virtually and giving them the opportunity to visit other countries to also be really exciting because I have seen educators be transformed by experiences like this and become even more committed to the importance of teaching global competence.